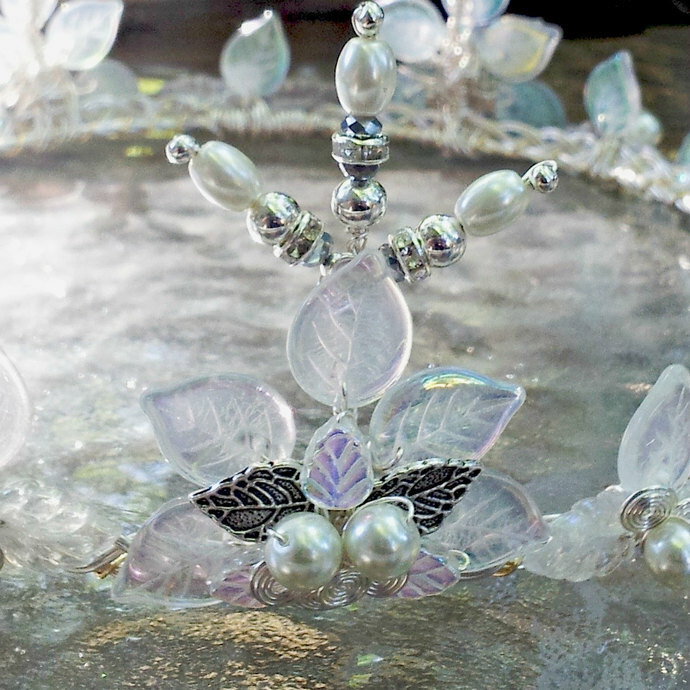 Shimmery crystal leaves, white pearls and glitzy crystals adorn this intricate Winter crown design. 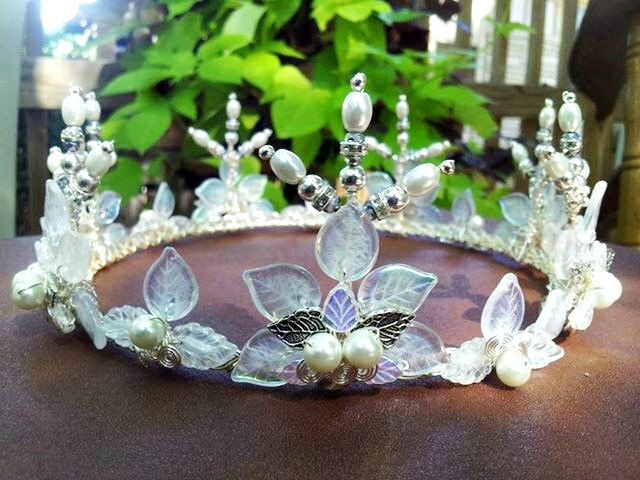 based on Buttercup's wedding crown from The Princess Bride;-) Perfect for a winter wedding, prom or other event. 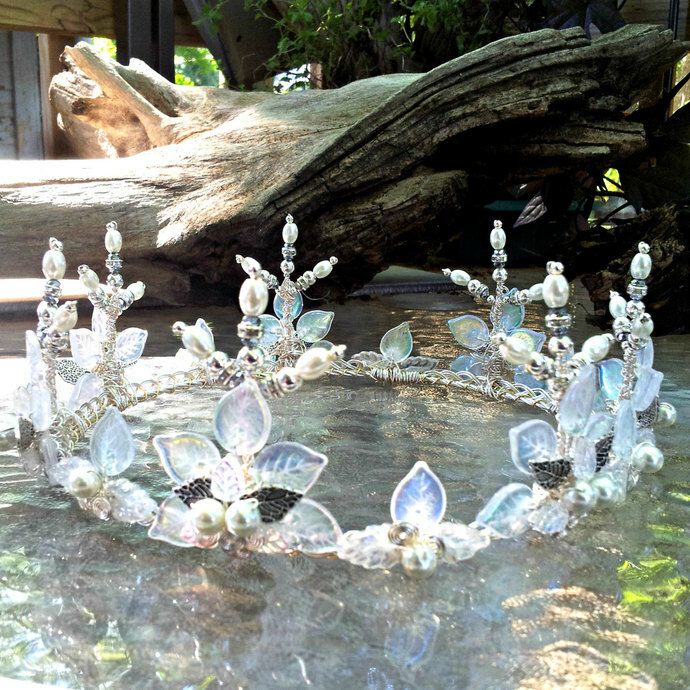 As pictured this design is a complete closed circle, designed to sit atop the head like a true crown and is $349. It is also available in tiara (open back) style for $299. 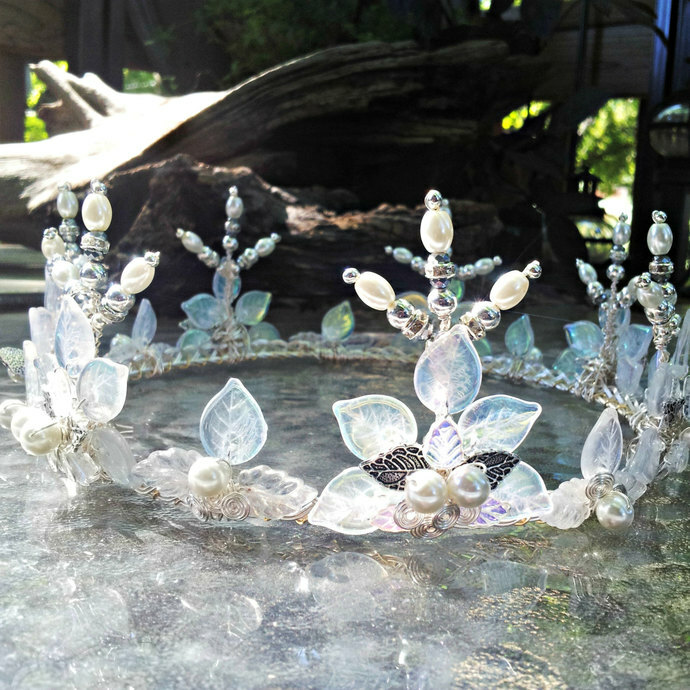 The crown style is made to your specific measurement (please include in the notes to seller section) and is not adjustable. 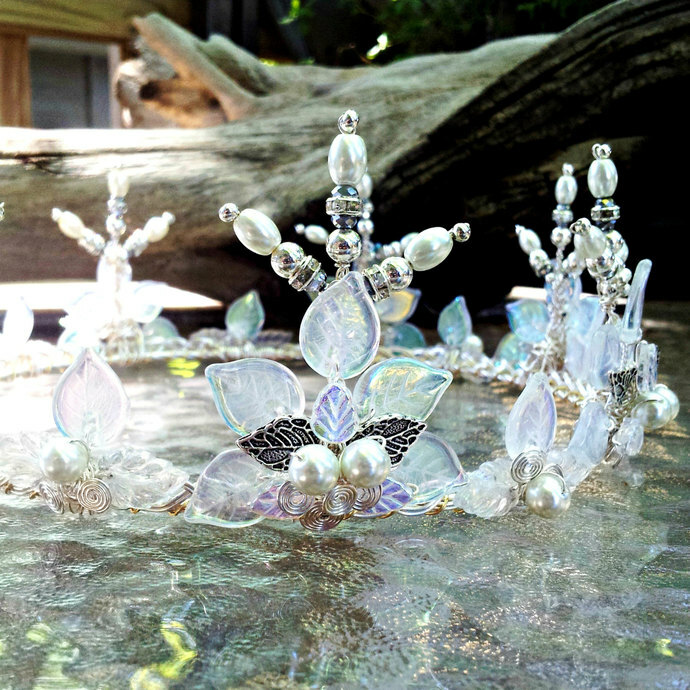 If you would like a more adjustable piece choose "Tiara" from the drop down box above. 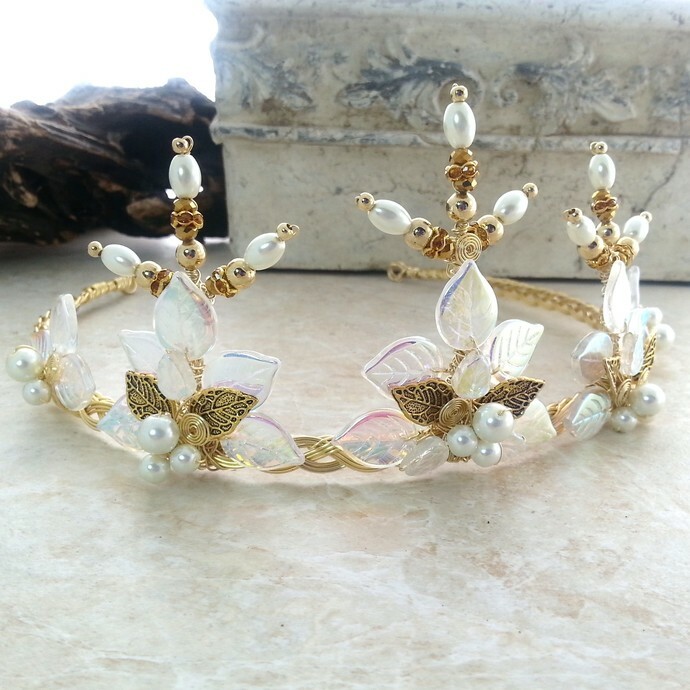 Please note: The tiara design will differ slightly in spacing and number of "points", but the components and style will be the same-gold version in last photo is an example of the tiara style.